You want to do your best for your clients – after all, they are a walking advertisement for your hair studio! 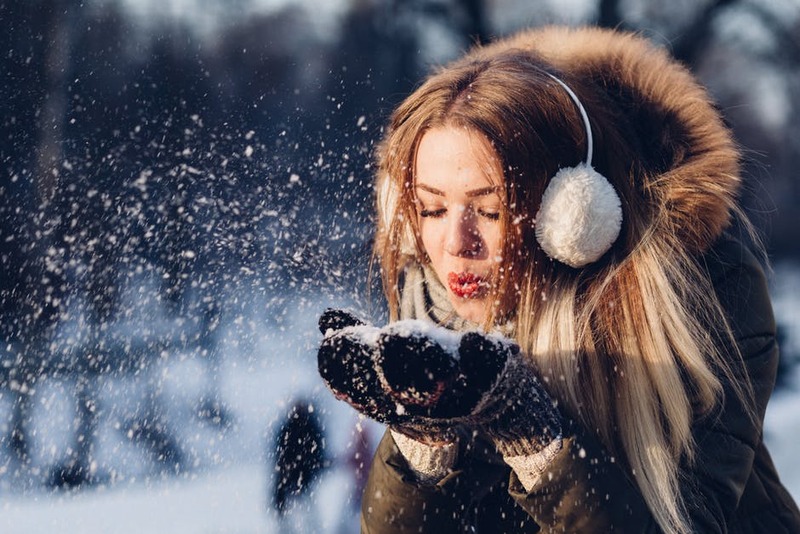 So, with this cold, dry winter weather wreaking havoc on everyone’s tresses, you want to make sure you’re giving ALL your clients some advice to keep their hair in tip-top shape. When your clients are in your chair, you’re likely using hot tools to blow dry and straighten or curl their hair. But it’s important to remind them that they shouldn’t be re-creating your style every day at home. For special occasions, absolutely, but hot tools used on a daily basis, no! You see the damage that causes hair! Have a conversation about what tools they’re using at home, and make sure they’re not maxing out the heat. And of course, if they’re not using a heat protecting spray, make sure they don’t leave your salon without one! They’re receiving luxury hair treatment while in your hands, but probably not at home. Ask what products they’re using and upgrade them to a more moisturizing shampoo and deep conditioner if necessary. A leave-in conditioner to add extra moisture and control some static is a lifesaver for most people in the winter. Customize an eco-friendly DAVINES hair system for their hair needs. Take a few minutes to show them how to properly shampoo and condition as well. Many people are unaware how to correctly cleanse their scalp, or apply conditioner concentrating on the ends and lengths. Since you’re already giving them tips on their hair washing routine, make sure they’re turning the temperature waaay down for their final rinse. Cool water seals the cuticle and prevents frizz and damage. Tell them it’s worth the 30 seconds of “brrrr” in the shower for the sake of their hair. Although it’s a contradiction to tell them not to use heat tools often, remind them that hair must still be completely dried before going outside. We’ve all seen the damage that styling wet hair can do and how easily wet hair can freeze (and break!) in winter. It may be worth discussing some second-day hairstyles so they keep washing at a minimum. Or have them wash their hair the night before so they have time to let it air dry. What if your client is deep conditioning and cutting down on heating tools yet still has difficulty managing their dry, dehydrated, frizzy hair? It may be worth suggesting they invest in a cool-air humidifier for their home and/or office. Adding moisture back into air that’s been affected by cranking up the indoor heat will greatly help their skin and hair. Taking a few extra minutes to help your client with their hair needs and giving a few fun tips will enhance their trust and dedication to you and will, in turn, be your best model and fan.